Floating stages, open skies and beautiful music. Get ready for it, because this year’s Grachtenfestival edition will be held between August 15th and August 24th. 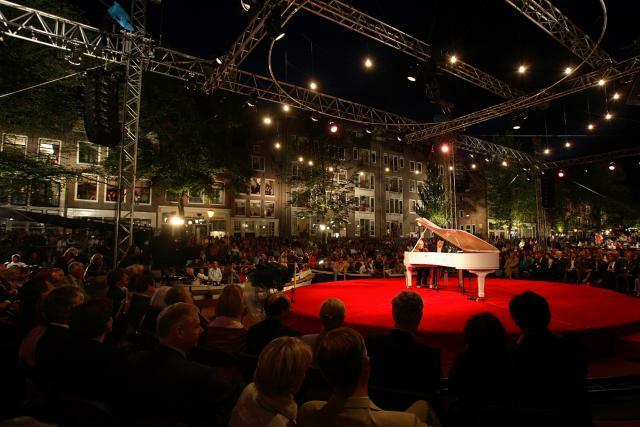 The Grachtenfestival (‘Canal Festival’) is an annual festival of classical music held at special locations around the city centre. Over a period of ten days, the Grachtenfestival provides a stage for young musical talent, choosing an appropriate and often historical setting for each musical event on or beside Amsterdam’s numerous waterways. The Grachtenfestival’s combination of location and repertoire means that classical music is performed to the highest levels, but presented in a way that is accessible to all. This is what makes the festival unique in the world. Hopefully the Dutch weather cooperates a little so you can pick your spot along the canals and enjoy a truely special event.